New SMSC with a broad theme, be creative and show us whatever you think fits the theme. YAY! Now people will compete to show the flattest game! This is from a real game - my Balkans and SE Europe map. It's a custom pakset based on pak64.german. Fullsize image link is here. The image depicts a large area (~40 miles by 30 miles) of the Hungarian Great Plain. At the heart is Szolnok, the regional centre, and the Tisza River. Major transport links head to Budapest in the west, Debrecen and Romania in the east, and Szeged in the south. The Tisza heads south until it joins with the Danube near Novi Sad in Serbia. Aioi is one of a small town in the middle of Great Plane. There are no industries, shopping mall, tour spots etc. near the town so the mayer decided to plant a flower garden around the railway. The small station has only short platform. This Izumisano city is located in the northern edge of the continent. 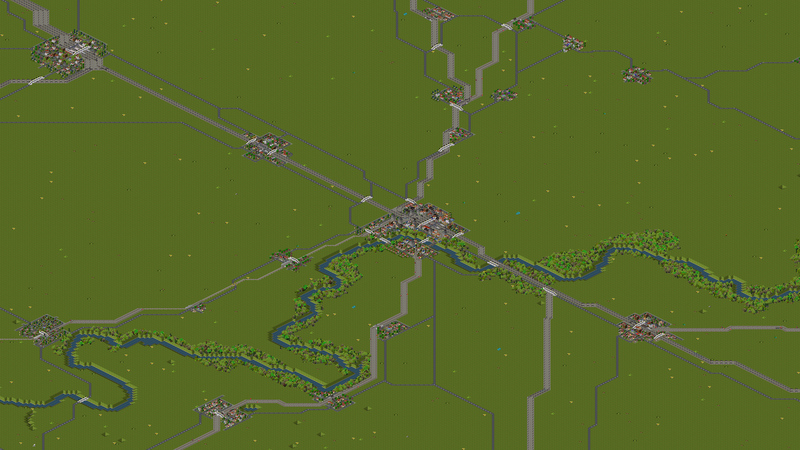 Main line and expressway run in the city, because of the flat landform suitable for traffic. 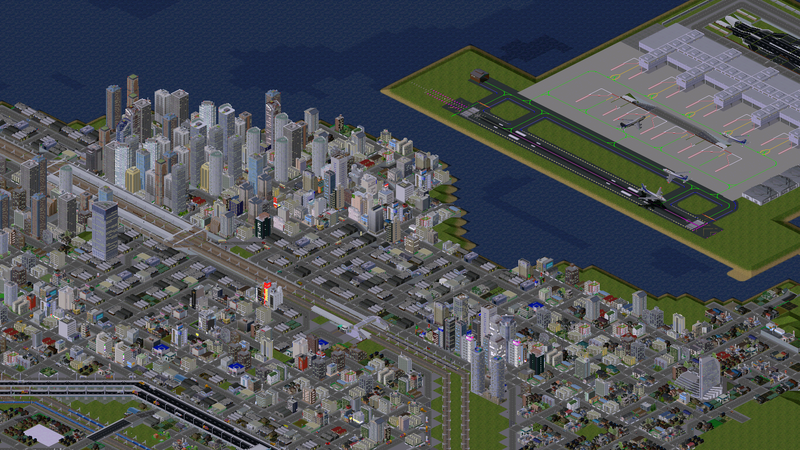 And recently new airport started on the reclaimed land, the city will develop furthermore. Farm stretch across the flatlands of this very productive farming area south of the capital city. This is part of an old game I was playing several years ago where I was testing different farm field graphics. I am waiting most patiently to be able to play with the alpha-enabled graphics and see what I can put together.